Matthew Quinn Martin – President (PF S’10) – Matthew’s original screenplay Slingshot was made into a feature film it and is currently on DVD, distributed by the Weinstein Co. His prose fiction has been published in Transition Magazine, Thuglit, Beat to a Pulp Anthology, MFA/MFYou Literary Journal, JMWW, A Twist of Noir, Eastern Standard Crime, The Oddville Press, Aphelion and The Flash Fiction Offensive, as well as Arkham Tales, and Big Pulp (both co-written with Libby Cudmore) Currently is at work on two novels, one techo-thriller and one young adult (also co-written with Libby Cudmore). More at www.matthewquinnmartin.com. Libby Cudmore – Vice President (PF/CNF S’10) – Libby’s essays and fiction have been published (or are forthcoming) in PopMatters, Pank, Knee-Jerk, Citron Review, Hardboiled, Thrilling Detective,Crime Factory, Needle, Curly Red Stories, The Southern Women’s Review, Pulp Pusher, Celebrities in Distrage, Thrilling Detective, Arkham Tales (co-written with Matthew Quinn Martin), Mysterical-E, Sunsets and Silencers, Big Pulp, Powder Burn Flash, Shaking like a Mountain, Nefarious Muse, Xenith, Espresso Stories, All Things Girl, True Confessions, The Flash Fiction Offensive, Thrillers, Killers, and Chillers,Shaking Like a Mountain and A Twist of Noir. 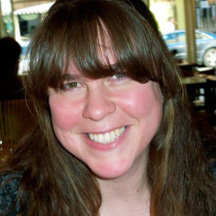 Her short story “Unplanned” won the August Bullet Award and in 2010 was nominated for a Short Mystery Fiction Society Derringer Award. In 2004 she was awarded The Subway Chronicle’s Essay of the Year, and Long Story Short named her its Author of the Year. She blogs at recordofthemonth. Mikhu Paul – Treasurer (S’10) – bio and pic forthcoming. Jessica De Koninck – Secretary – bio and pic forthcoming. Lynette James – Director (PF S’12) – bio and pic forthcoming. 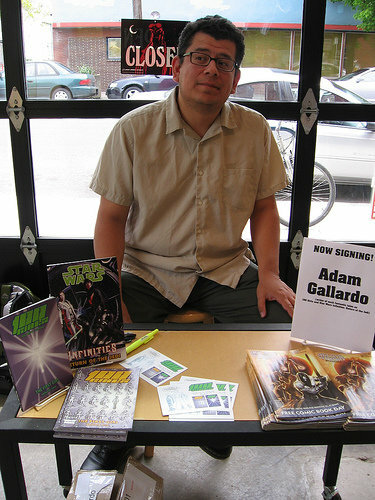 Adam Kreutz Gallardo – Director (PF S’12) – Adam has published three comic book series: Star Wars: Infinites — Return of the Jedi (Dark Horse Comics), 100 Girls (Simon Pulse), and two volumes of Gear School (Dark Horse Comics). He’s currently preparing to send his horror YA novel, Zomburbia, out into the void to try and find an agent. He lives and works in Oregon where he’s a full-time stay-at-home dad to his two sons. He blogs (sometimes) at adamgallardo.blogspot.com. 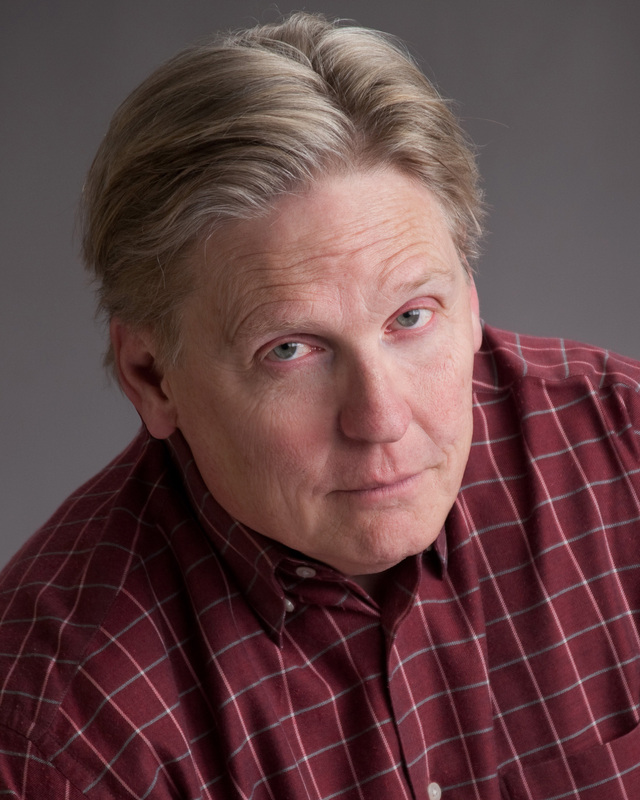 Mike Langworthy – Director (CNF W ’11) – Among the jobs Mike’s had: busboy, dishwasher, factory worker, credit investigator, lawyer, pension consultant, standup comic, television writer. Currently he writes “The View From Away” for The Forecaster, a weekly newspaper serving Southern Maine. 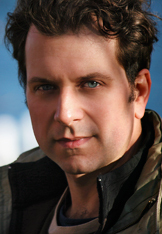 Co-creator and executive producer of “Club 86,” a radio comedy series. He’s also writing a memoir about working and raising a family in Hollywood, as well as developing scripted projects for television and the web. Erin Underwood – Director (PF’09) – Erin’s fiction, non-fiction, and interviews have appeared online and in print. She is the co-author of “The Bag of Holding,” a regular column published by the SFWA Bulletin. 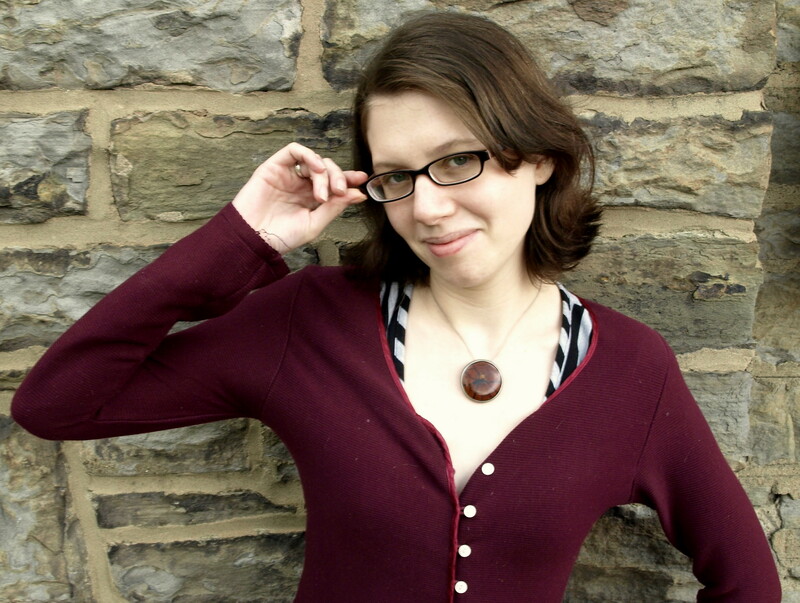 Erin is also the founder and editor of the popular fiction literary blog UNDERWORDS and co-editor of Futuredaze: An Anthology of YA Science with fellow Stonecoast alumnus Hannah Strom-Martin. 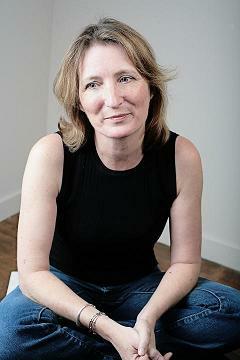 She is a graduate of the Stonecoast MFA program and lives in Marblehead, MA with her husband. What an impressive lineup. We’re all so proud of you and know you’ll do amazing things!